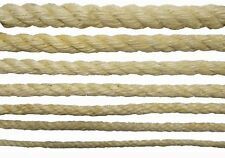 Natural Fibre Sisal Rope [8mm x 75m]. To extend the lifespan of your sisal rope when using outdoors, you may choose to stain it with a quality linseed oil to match the colour of decking or your outdoor features. Sisal covered throughout. Round base. Then we will ask you to send the item(s) back to us, so that we can check. This Cat Scratching Pole Is Manufactured From Mdf And Steel And Is A Great Way For Cats To Stretch And Keep Claws Healthy And Sharp. Sisal Wrapped. The pole is tough and durable and is finished with cute mice and a ball on a string to add extra pleasure for the cat. Garden Fencing & Borders. Watering & Irrigation. Other Workplace. 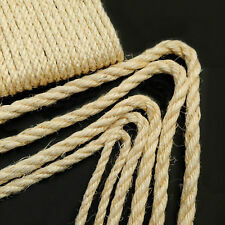 Sisal surface 8 × 46 cm. Cat Scratching Board. Cat Scratching Board. rear side covered with fabric. long plush-tail with bell. Will Allow Your Cat Or Kitten To Have Hours Of Fun. Great For Your Cat To Show That You Care. Colour: light blue with dots - plush soft and comfy. with short-haired plush cover. ALL PRODUCTS ARE IN ENGLISH AND ANY ELECTRICAL PRODUCTS ARE FITTED WITH A UK 3 PIN PLUG. WEIGHT RESTRICTIONS ALSO APPLY TO YOUR COUNTRY. 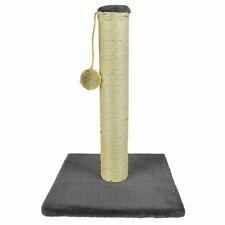 This Cat Scratching Pole is manufactured from a durable sisal hemp and features 3 mice and a ball on a string for cats to play with and enjoy. - 41cm x 30cm x 30cm. ThisCat Scratching Pole is manufactured from a durable sisal hemp and consists of 3 mice and a ball on a string for cats to play with and enjoy. - Sisal Hemp and MDF. Great Product at Great Prise. Encourages cats to exercise their claws. base 25 x 25 cm Ap. And they look good too! Cat Pods from Cat FurNature Ltd. This sale is for one house. House 33cm length x 47cm high x 47cm wide. Designed to look stylish and to withstand heavy use without looking warn and torn. Natural Hard wearing Sisal Material. Designed in the style of a lion, this is a great way to look after your kitty's claws in style. Novelty lion design. Cat claws grow continually and have an instinctive need to scratch. Designed as an elephant, this is a great way to look after your kitty's claws in style. Novelty elephant design. Cat claws grow continually and have an instinctive need to scratch. Then we will ask you to send the item(s) back to us, so that we can check. Not only will it deter your pet from clawing up your furniture and household textiles but it will keep them active. Condo Height: 52". Easy to follow step by step instruction. Surface Material: Faux Fur. NOTE : All of turbo parts and performance may require slight modification in order to fits perfectly. User must follow the direction given and any misuse of this product is at his/her own risk. Cat Products (73). Cat Scratchers (15). Providing a Professional Service for Years. Condo Height: 53". Easy to follow step by step instruction. Color: Beige. User must follow the direction given and any misuse of this product is at his/her own risk. NOTE : All of turbo parts and performance may require slight modification in order to fits perfectly. FREE DELIVERY (UK) , Save your furniture and carpets! Condo Height: 73.2". Easy to follow step by step instruction. User must follow the direction given and any misuse of this product is at his/her own risk. NOTE : All of turbo parts and performance may require slight modification in order to fits perfectly. Cat Scratching Post " Zoofari"